Why Buy A Soy Candle? #1 Soy candles are natural since they’re made from vegetable oil (soybeans). On the other hand, paraffin candles are made from petroleum oil. As a result, soy wax candles do not increase the CO2 level in the atmosphere like paraffin candles do. Furthermore, soy candles do not require chemicals to scent them. For the record… if a soy candle is made from 100% soy (not all are; some are blended with beeswax or other waxes), and scented with essentials oils instead of chemical fragrances (as many are), then it can be called an all-natural soy candle. #2 Soy candles burn 50% longer than regular candles. Therefore, even though soy wax candles are sometimes more expensive than paraffin wax candles to buy, they are still more cost-effective in the long run. For comparison’s sake, soy candles generally cost less than beeswax candles (another natural wax alternative to paraffin). Furthermore, soy candles burn evenly, leaving almost no excess wax on the sides of the jar. #3 Soy candles burn cleaner than regular paraffin candles do. As a result, they don’t produce much black soot like paraffin candles do. Candle soot is more of a nuisance than you might realize. If you burn a lot of candles, over time it can discolor your walls & furniture and stain the edges of your carpet! #4 Soy candles are non-toxic since they are made of vegetable oil, have a lower melting point (so the wax itself doesn’t get as hot), produce negligible amounts of soot, and release no known carcinogens into the air. Compared to paraffin candles, soy wax candles are much healthier for humans, pets, and the environment. Plus, they clean up easier (just use soap and water) when the wax is spilled. #5 The scent from soy candles is much stronger and more pleasant than the scent from paraffin wax candles. Because of the lower melting point of soy wax, there is a larger amount of the liquid wax pool around the candle wick itself. It is from this liquid wax pool and the wick itself that the essential oils evaporate into the atmosphere. This entry was posted in Soy Candles and tagged burn, buy, handmade, Natural, paraffin, Soy Candles, Soy Wax, wax. 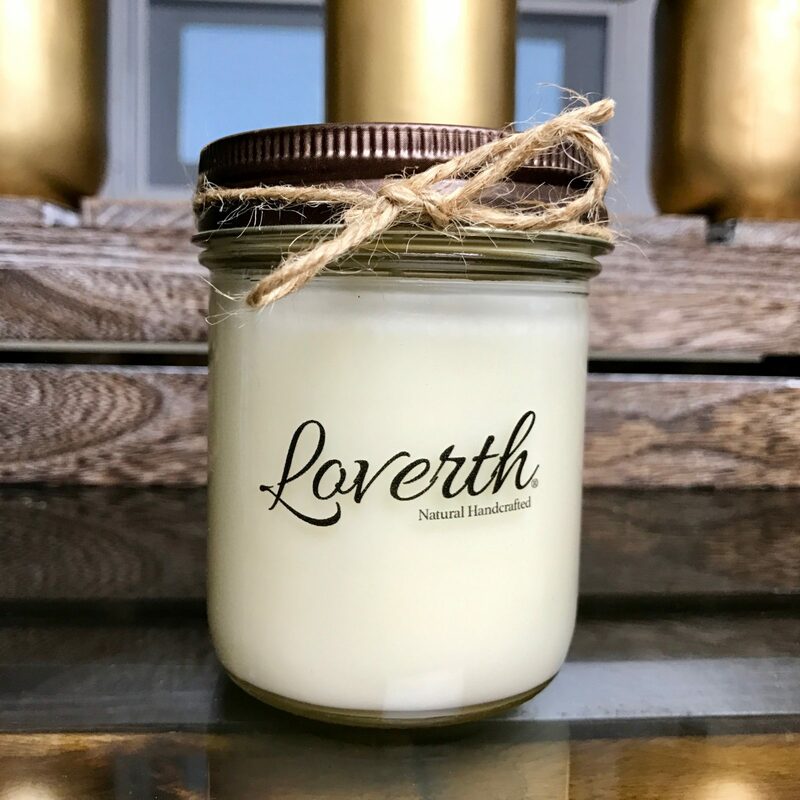 Loverth is a Natural Handcrafted Company that offers the best quality and fragrances of Soy Candle thinking on the environment.